We’ve all dreamt of living in a grandeur house, basking in the sun in a backyard pool and lazing in the lounge on a quiet Saturday night. Everyone’s imagined the rich life and there are people who’ve worked hard enough to actually afford it. Being a property developer, the responsibility of making people’s dream homes come true rests on your shoulder. But selling luxury properties can be a challenge, it’s expensive and not all people have the money for it. And for those who can afford it, you need to put in all effort to convince them that you can offer to make their dream a reality. Marketing luxury properties can be frustrating and you can’t blame potential clients for being fussy with what they want. Big money’s involved and surely, they’ve worked hard for it and imagined for years how they want their homes to look like. Getting a buyer’s commitment can be a challenge so you need to work hard to earn their trust and prove to them that you can make their dream home come true. It’s actually no secret that 3D image rendering has been property marketers and developers’ most powerful tool when it comes to selling. It gives them the ability to show potential buyers a realistic imagery of what the property will look like even before construction’s finished. This is more effective than 2D drawings and floor plans, that only technical people can understand. Plus it will also help avoid miscommunication because what you can clearly see in your head, your client may not. 3D visualisation by giving buyers a good feel of the property and whether or not it meets their high expectations. And when it comes to advertising luxury properties, there’s nothing more effective in delivering vital information than via a brochure. But of course, this will depend on how you make it. Make it sleek and classy and since first impressions always last, make sure you wow them with the limitless possibilities they’ll get in their future property. Luxury Brochures: Where to Start? When it comes to designing luxury brochures, it’s always good to get inspiration from how iconic luxury brands do it because they know exactly how to market their products and catch the attention of a specific niche. It doesn’t hurt to learn a thing or two how they go on about designing their brochures and making their business a success. Design is one of the most critical aspects in a luxury property brochure. It’s tempting to make it flashy, but remember that people are after minimalism nowadays. The simpler the design, the more beautiful it is. It may sound easy, but oftentimes the hardest to achieve. There’s a certain limit on what you can put on your brochure, so make sure you put in only what’s essential. Emphasise the property’s design and what makes it luxurious and worth the investment. When it comes to designing brochures, font matters. It matters how the typeface will look in print and how easy it will be to read. Take a look at how iconic brands have used time-tested font selections over the years and how it’s proven to be a success. Learn from them and integrate it on your own brochures and for sure, success will follow. 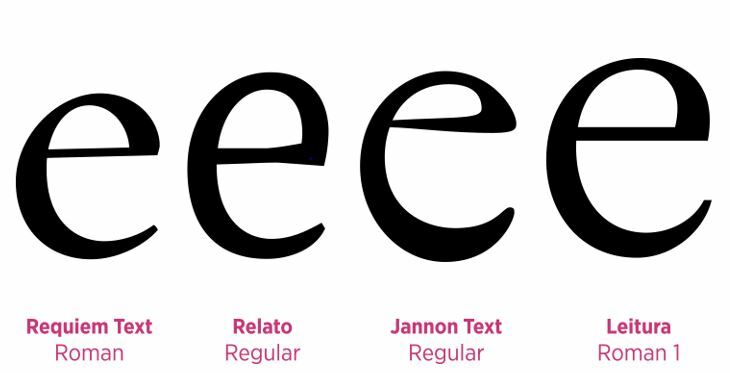 As much as possible, stick with, at the most, three types of fonts that are clean and easy to read. Remember, you do don’t want to overdo it and would rather keep your brochure simple and classy. There are things that look pretty when colourful, but luxury property brochures are not one of them. It can be tempting to use all your favourite colours, but keep in mind to keep it under control. You wouldn’t want too much things happening it once that it becomes confusing and too much to look at. If you’re not sure which colour palette to choose, there’s always the option of sticking to monochrome, or at most 4 colour palettes. This keeps your brochure stylish and luxurious, just like the properties you’re trying to sell. Selecting the right type of paper is often overlooked and neglected. Most people think as long as you can convey your message with the right images and fonts, they’re good to go. Unfortunately, that’s not all that matters and more often than not, the type of brochure paper can make or break your advertising strategy. The right type of paper should create a lasting impression on potential clients. It should make them think that, ‘Yes, this is what exactly I’m looking for and this surely feels classy and elegant’. It’s easier said than done, actually, and there are many things to consider in selecting the paper for your brochure. There’s the paper weight (GSM), whether you want a glossy or matte finish, or if you would want to play your part in saving the environment and going for the natural and eco-friendly type of paper. Regardless of what it is, make sure you give it enough thought so that your brochure won’t fail you. Yes, it does matter how your brochure looks and feels like, but it’s also the content that would determine if you can sell a property or not, in addition there is other benefits 3d rendering has for property marketing. With 3D architectural rendering, you can present properties that 2D drawings and floor plans can’t. You can easily incorporate realistic details in the images and even integrate light, depth, textures and shadows, making it almost too real. With such technology, buyers no longer need to rely on imagination to see what the property will look like when finished. With a realistic image of the property, they would have a good idea of how it will be like to actually live in there, making the luxury property easier to sell. As a property marketer, you can use this to your advantage. It’ll take out the guesswork of how the clubhouse will look like after construction’s done, or what the neighbourhood will be like when they move in. To lock that deal in, pique the client’s interest during the early stages of property development. Show them what their dream home will be like with your elegant brochures and realistic 3D image renderings.